A man steps into the giant space egg sauna at the American Swedish Institute. Photo by Basil Considine. Gun control’s on the mind and theatre is the battleground. Code Red Playwrights presents a series of short (1-5 minute) play readings about gun violence. This fundraising event benefits Moms Demand Action-MN and takes place at the Phoenix Theater in Minneapolis. Includes a speaker from the Everytown Survivor Network. One night only. 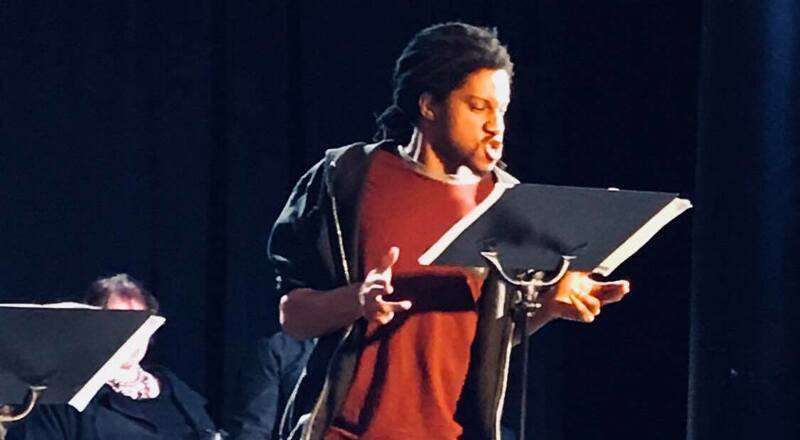 Denzil Belin performing in a 2018 Gun Control Theater Action reading. Photo by Kit Bix. Cap the week off by taking the kids to see The Hobbit at the Children’s Theatre Company in Minneapolis. This new stage adaptation of J.R.R. Tolkien’s celebrated children’s novel throws in a steampunk twist and a light, humorous touch. Plays through April 14. 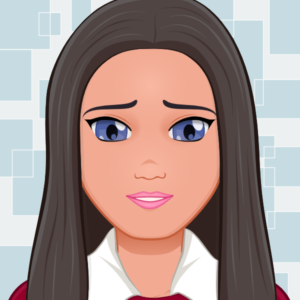 Kids bursting with energy after the show? Step across the lobby and wow them giant statues and other ancient wonders in MIA’s Egypt’s Sunken Cities, also here through April 14. 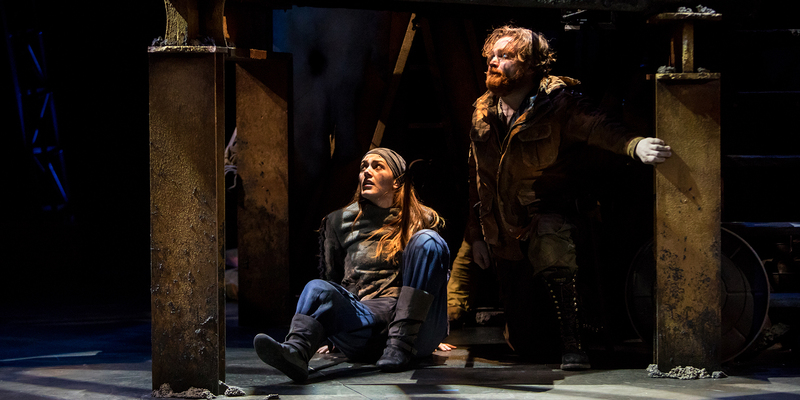 Becca Hart and Reed Sigmund in the Children’s Theatre Company’s new adaptation of The Hobbit. Photo by Dan Norman. 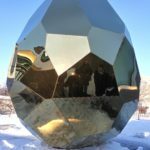 The glittering Solar Egg by Bigert & Bergström for Riksbyggen. Temperatures are dropping this weekend, which makes it a perfect time to visit the Solar Egg Sauna at the American Swedish Institute. Younger kids will love running around it, and the whole family will enjoy piling into the sauna and luxuriating in the novelty of wearing a swimsuit inside a giant, glittering egg in the middle of the Minnesota winter. Reservations and swimsuits or other suitable sauna attire required. 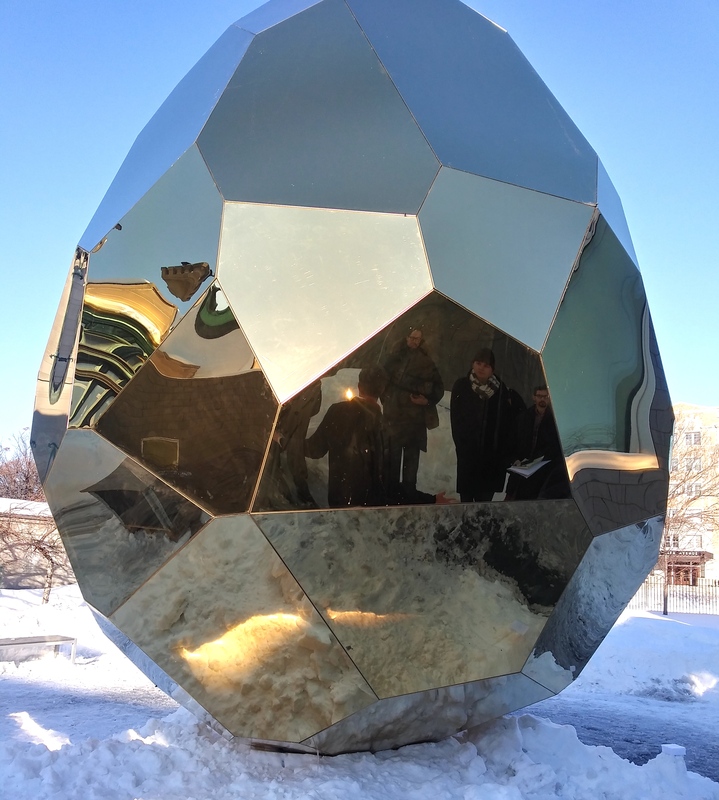 The Solar Egg by Bigert & Bergström for Riksbyggen will be at the American Swedish Institute in Minneapolis through April 28. Sit the family down for brunch at Cook St. Paul. Start them off with cinnamon rolls and chili-sprinkled gochu fruit and see where they go on the menu of Korean and American cuisine.